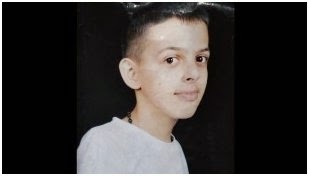 The difference between the treatment of the killing of a Palestinian teenager and the three Israeli teenagers says everything you need to know about Israeli indifference to Palestinian life. The unspoken message if 'they' love death, we love life. racism as a letter I wrote appears in today’s Independent. 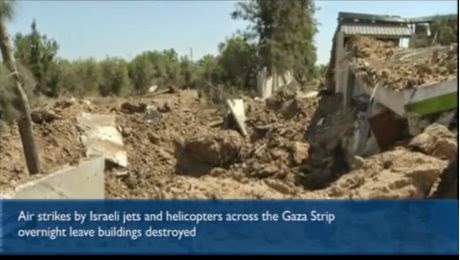 The Result of Israeli bombing of Gaza - Netanyahu Knows Who the Killers of the Israeli Teens are. The air strikes… came after the Israeli prime minister, Binyamin Netanyahu, vowed the militant Islamist group Hamas, blamed by Israel for the kidnapping, would "pay a heavy price". 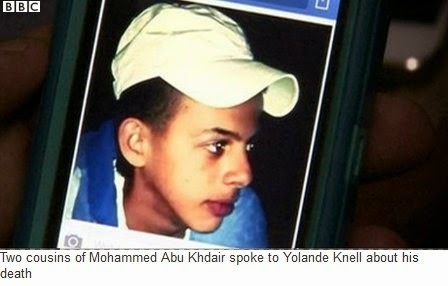 Of course there were no air strikes on the settlements where the killers of Muhammad Abu Khdeir are based. Such an idea is unthinkable to Netanyahu and his cabinet of killers. At the Israeli teenagers funerals, which were effectively state funerals, Netanyahu waxed lyrical: "I know the pain of mourning; there is nothing worse than that," he said standing by the three coffins, each draped with the blue and white Israeli flag. Addressing their parents, he said: "The whole nation has witnessed your inner strength and that of the rest of your family," their children were "attacked by murderers who violated the decree: 'Never cast a hand on a child'". Guardian 1.7.14. The killers of the Israeli teenagers were politically motive, Hamas of course, but the killers of a Palestinian teenager were criminals. 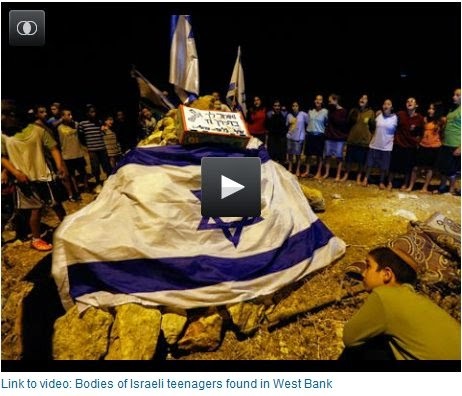 They had no political motive when they killed 16-year-old Muhammad Abu Khdeir, the Palestinian teenager whose body was found on Wednesday, July 2 in Jerusalem’s forest area.